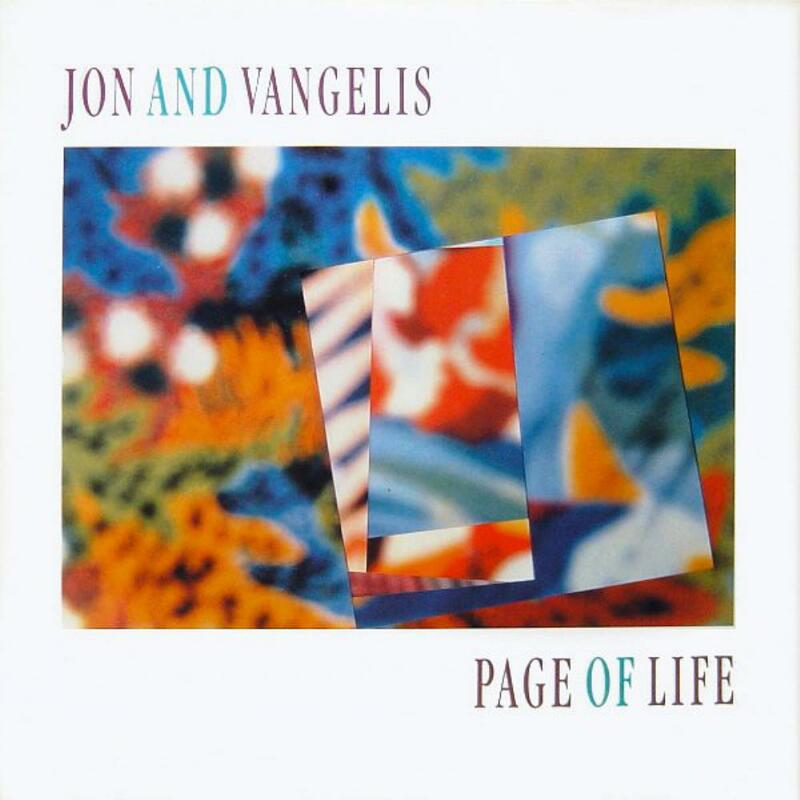 Released in 1991, "Page of life" remains at time of writing the last collaboration between Jon Anderson and Vangelis. Right from the opening "Change we must", the album adopts a relaxed, almost ambient mood, with soft washes of sound and pleasing melodies. That opening track would later become the title of a solo album by Anderson, its title coming from a book called "Change we must" written by Hawaiian spiritual teacher Nana Veary. The version here uses repetitive themes in an Enya sort of way, the piece gradually building as it weaves it alluring themes. Surprisingly perhaps, the track features some fine guitar work by Jim Hahn (who appeared on Yes' "Union" album as Jim Haun). Elsewhere, "Garden of senses" maintains the mood, but this time (uncredited) saxophone appears enhancing the melancholy mood. "Genevieve" lightens that mood again, but remains staunchly understated. The final track, "Wisdom chain", is a 10+ minute epic which sets out as a Vangelis solo effort. The music sounds as if it has been lifted from one of his soundtrack albums, with sweeping synth orchestration and majestic themes. Anderson eventually makes his mark on the song, which becomes a repeating mantra. "Money" seems to be a rather odd exception on the album, being a prosaic slice of unoriginal pop rock. In all, a highly enjoyable final outing for Jon and Vangelis. This album has been rather lost from the vast discographies of the two protagonists, but those who found previous J&V efforts to their liking will be pleased with what they are presented with here. Note this review is of the 1998 USA release. Vangelis apparently did not approve of this version, which sees some of the tracks being tinkered with by Anderson, and others omitted altogether.